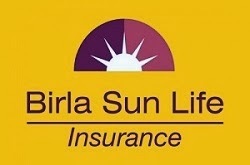 Private sector insurer Birla Sun Life Insurance Company Limited (BSLI) has re-launched five life insurance products compliant with the new IRDA product guidelines applicable from this month. It includes three non-participating market-linked insurance plans, one participating whole life plan and one traditional participating endowment plan. The ULIPs include Wealth Max, Wealth Secure and Empower Pension plans while Vision LifeIncome is a whole life plan and Vision Endowment Plan is a traditional participating endowment plan. “These products are designed to emphasise the fundamental propositions of life insurance - protection from uncertainty and long term savings. In 2014, we are well poised to build the product portfolio in a phased out manner with focused distribution,“ said Mr. Mayank Bathwal, Deputy CEO, Birla Sun Life Insurance (BSLI) in a company release. In line with the revised product guidelines, these plans are focused on providing enhanced security to savings, higher life cover, better surrender values and improved disclosures. BSLI is a joint venture between Aditya Birla Group, an Indian diversified conglomerate, and Sun Life Financial Inc, a Canada-based leading global insurance company.